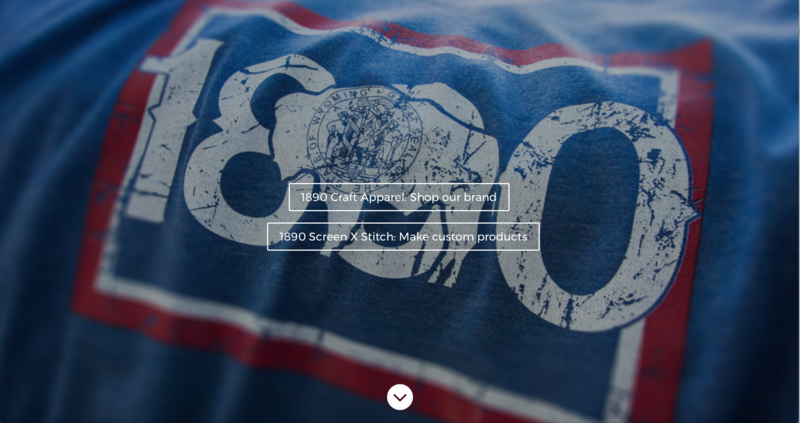 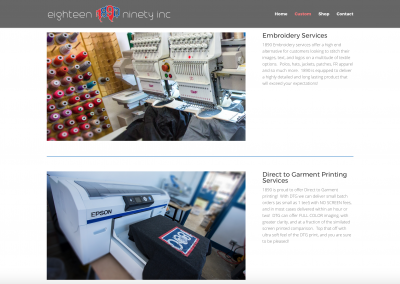 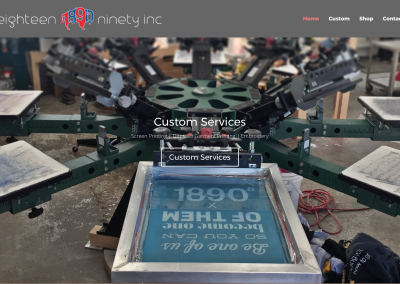 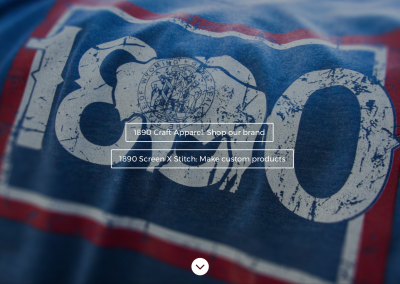 We have had the pleasure of re-designing the website of Casper, Wyoming based screen printing and embriodery company, 1890 Inc! 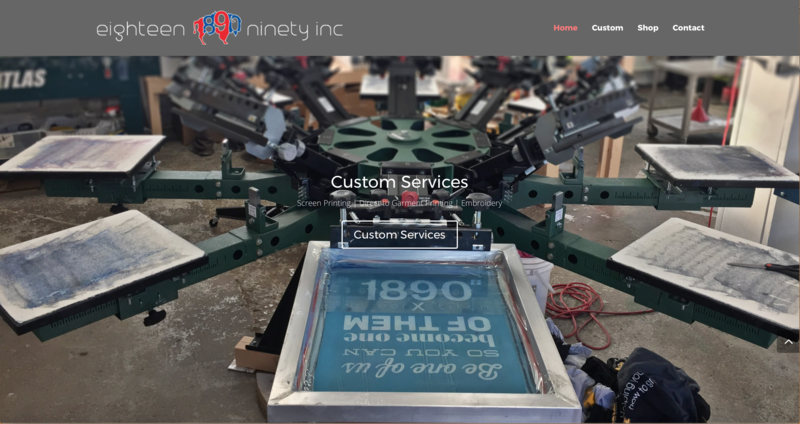 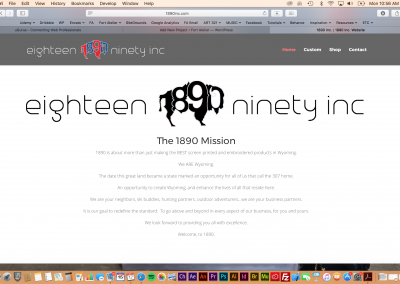 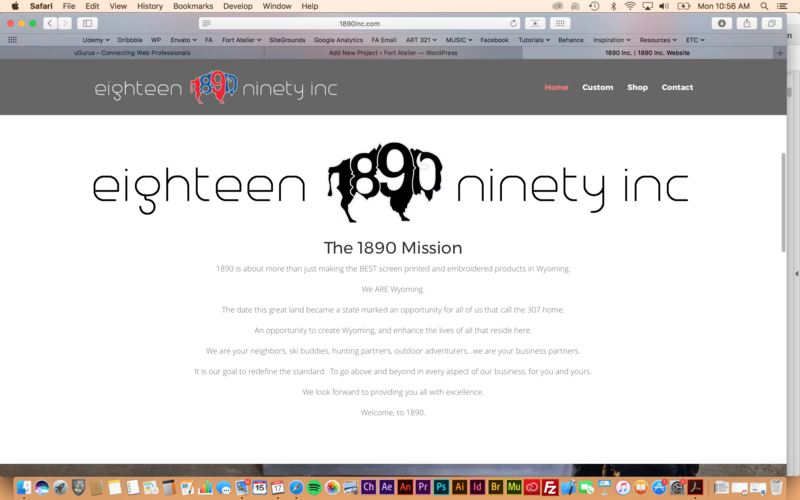 1890 Inc. was in need of a fresh website that reflected their new branding 2017 spring launch. 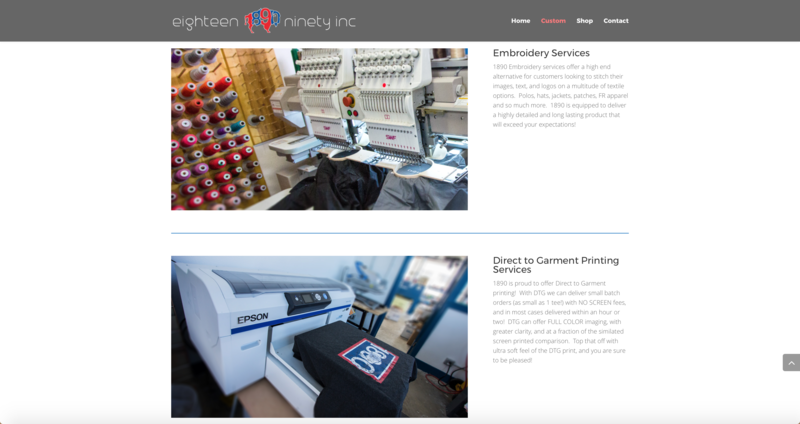 This included new product and service photography, a mobile friendly design, a form upload feature, and outbound links that direct customers to their shop 1890 Inc. brand.